Call us at (516) 255-0272 today. For more information or to schedule an appointment with our Oceanside chiropractor, call (516) 255-0272 today! Dr. lee weiner is a chiropractor serving Oceanside and the surrounding area. Our chiropractor and the rest of the welcoming team at Oceanside Wellness Center are committed to providing chiropractic solutions to address your unique needs, whether you are experiencing back pain, neck pain, headaches, or even muscular tightness and tension. You may be searching for pain relief after an accident, experiencing an injury, or if you suffer from a specific condition like chronic back pain or a spinal condition. Even if you looking to improve your overall health, our chiropractor can help you attain your everyday wellness goals! Visit our testimonials page to find out what our patients are saying about our Oceanside chiropractor and our chiropractic care plans. At your first visit to Oceanside Wellness Center, Dr. lee weiner will explain how chiropractic care works and give you a full evaluation to see if our chiropractic solutions are a good fit to address your needs. If there is a good fit, we can customize a plan of chiropractic care for your condition and health goals. If you have not been to a chiropractor before and want to find out more, please email us or call (516) 255-0272 to receive the answers to your questions from our experienced team. We also welcome referrals, so we invite you to share our chiropractic and wellness information with your friends and loved ones. 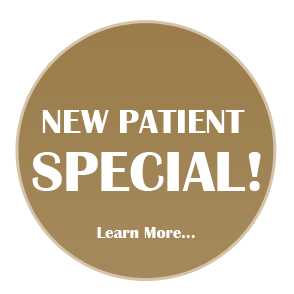 "I have been a patient of Dr. Lee for the past 5 years seeing him every week. I came to him with several lower back problems as well as neuropathy. I can honestly say my back pain has almost entirely disappeared. The office is so pleasant and I actually look forward to my appointments. I recommend Dr. Lee highly. He is the best chiropractor I have ever been too; and I have been to many." "I have been going to Dr. Wiener's office for over 8 years and I would NEVER go anywhere else. If it was not for him I would not be taking my long walks on the boardwalk. He is the nicest Dr. you will ever meet! His staff is super friendly and accommodating. 5 stars all the way!! I 100% recommend Dr. Lee Weiner!" "Dr. Lee Weiner is the best chiropractor! I started seeing him as a patient 3 years ago because I was having issues with my lower back and hip. Thanks to him and my weekly visits I feel better than ever!" Dr. Lee Weiner has been serving Oceanside and the neighboring communities since 2001. He graduated from the world’s largest chiropractic college, Life University of Chiropractic, in 1998. His postgraduate education and focus is in the field of Sports Chiropractic. Dr. Weiner earned his Certified Chiropractic Extremity Practitioner (CCEP) degree in 1998.